Propertyudyog.com is counted among one of the top real estate companies located in Nagpur, Maharashtra, offering gamut of realty services for the convenience of the valued clients. We also deal in Pune, Bhubneswar, Guwahati and all over India. The various services offered by us include Buying Property Services, Selling Property Services, Renting Property Services, Leasing Property Services and PG Accommodation Services. As a flourishing company, we have the mission to be leader in the real estate market and we will keep no stones unturned to ensure it. We offer the clients with lot of option whether they are planning to buy, sell or rent various types of Residential Property, Commercial Property, Industrial Property and Agricultural Property. Established in the year 2009, over the years we have benefited many satisfied clients by offering them reliable and prompt realty services at very reasonable charges. We offer specialized services for corporate companies (MNCs), Software/IT Companies for their requirements of office, showroom, warehouse, etc. Over the years we have acquired a wide list of satisfied clients that includes many reputed companies such as Hindustan Unilever, Sahara Group, Birla Group, Orange City Water, Sundaram Insurance and many more. All of these have been possible because of the effective guidance and supervision of our owner, Praveen Holey. 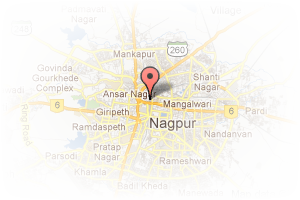 Address: Main Road, Pratap Nagar, Nagpur, Maharashtra, India. 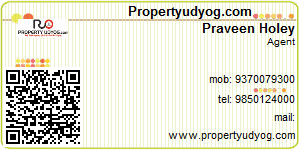 This Broker Profile page for "Propertyudyog.com" has been created by PropertyWala.com. "Propertyudyog.com" is not endorsed by or affiliated with PropertyWala.com. For questions regarding Broker Profiles on PropertyWala.com please contact us.